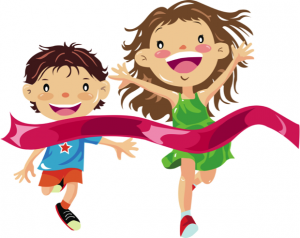 Stella Maris Academy | IT’S HERE – SMA’S SPIRIT RUN HAPPENS TOMORROW!!! IT’S HERE – SMA’S SPIRIT RUN HAPPENS TOMORROW!!! We can’t wait to see everyone at the La Jolla Rec Center Monday afternoon, filled with the Holy Spirit and ready to kick off Catholic Schools week with this FUNdraiser. Please remember that students may come to school in appropriate, comfortable athletic wear. Eat a sensible lunch (nothing too heavy) and bring sunscreen and a water bottle. We will have water at the park to refill bottles and gatorade and light snacks for after the run. Thank you to all who have volunteered to help at the event – it is not too late to join us. See the signup genius to see where you are needed, or just show up at the park and we’ll find a role for you! We especially need parents to help tally laps and cheer students on as they go go go! Lastly,THANK YOU FOR YOUR FINANCIAL SUPPORT of the Spirit Run. Remember to keep collecting donations and pledges. We have raised over $5000 so far towards our $13K goal. Money must be turned in by Thursday Feb 15 to be counted toward any incentives, the taco lunch, the silly string battle, or any teacher prizes. See you on the field – let’s do this SMA!